Most people know Nemo from the movie Finding Nemo. To me Nemo means something else. This little book tells the story how an IT manager is stuck with a department that has lost all of it’s energy and enthusiasm. The IT manager visits the famous Pike Place Fish Market in Seatle over a lunch break and gets inspired by the workers of the fish market who made a seemingly boring job, hauling fish on the fish market, fun and in the process they have attracted a large amount of customers, boosting sales. 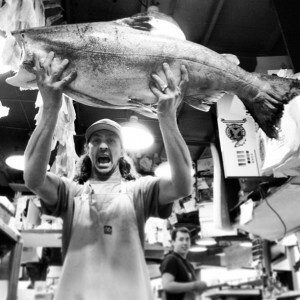 The IT manager uses this inspiration and the lessons she learns from the Pike Place Fish Market to boost the morale of her department completely turning things around at the office. So back to Nemo! The other day when doing groceries at the local super market musing over my thoughts and troubles at the office, thinking of ways how to boost morale of myself and the people around me and then I walked right towards it 20 to 30 Nemo’s lying there all smiling at me. I couldn’t help but smile and think about the story from the book. 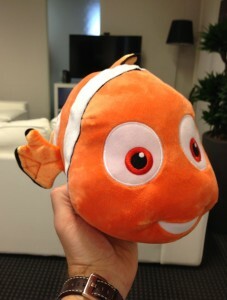 I grabbed one of the Nemo’s and the next day I took it into the office. Now Nemo is resting on my desk and is promoted to our CHO (Chief Happiness Officer), reminding me of the story and of the fact that we need to make the work and workplace fun for all employees.